The Premium Unbreakable White Champagne Flutes combine style and practicality in the most modern way. 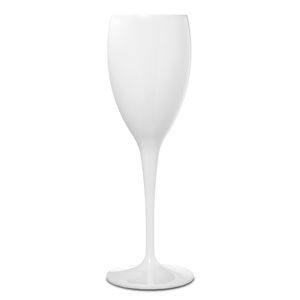 With virtually unbreakable polycarbonate, these dishwasher safe champagne glasses will stand the test of time even during busy events. Perfect for parties or busy venues, the ultra safe design of these reusable plastic champagne glasses means the threat of broken glass is now gone!